another prophecy,to another distinguishing between spirits, to another speaking in different kinds of tongues, and to still another the interpretation of tongues. 11 All these are the work of one and the same Spirit, and he distributes them to each one, just as he determines. There was a period of 6 years that my kids and I lived with my ex-husband and his wife. It was financially easier this way and provided a more stable environment for the kids. As a family, we would do what we could to help the homeless. We took in transients (rail riders) on two occasions. We offered a homeless man an afternoon of warmth and a hot meal. My ex-husband has taken meals to those who were struggling to feed themselves and their families. Cree, my 18 year old daughter has found the joy of serving in a local mission for men and families. My daughter Cherokee and I have bought gift cards to fast food restaurants and given them to the homeless we see on the streets. If someone is in need, we have tried to meet that need as a family. We don’t have a lot. We live pay check to pay check, but we give of what we have. If we know someone needs something and we can meet that need, then we do. 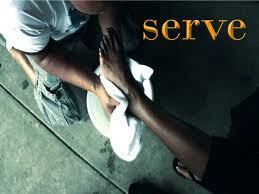 God has given each one of us a gift/gifts that he expects us to use in serving others. It doesn’t have to be difficult. If you can’t volunteer in a local ministry, then ask God to open up opportunities in your daily life to give you the chance to use your gifts. If you can volunteer in a local ministry, then find a way to use those God given gifts there. I am an introvert. Being around a lot of people and social situations causes me anxiety and exhausts me, but I love to connect with people through the internet, so I use this blog and Facebook to encourage others and connect people to Jesus. God has opened up an avenue for me to use my gifts and natural tendencies to glorify His name. My 5 spiritual gifts are: Exhortation, Mercy, Pastor/Shepherd, Faith, and Intercession. I am challenging you to take a spiritual gifts test. Click here to take the one I took. Once you take the test, I challenge you to look for ways in your every day life to use those gifts to serve others. Pray for God to reveal to you how He wants you to use those gifts. God WILL open up opportunities, He is simply waiting for you to ask. Open your heart to the needs of others. Look around to those who are in need (those we would normally ignore in our hurry through life). I would love to hear from you. Let me know how God has used you to serve others. God bless you, my friend!